Welcome, fellow travelers. You’ve reached one of the stops in the SFR Brigade’s Midsummer Blog Hop. If you wish to start at the beginning, CLICK ON THE STARRY NIGHTS LOGO to the left. If you wish to pick and choose whose blog to visit, go HERE for a full list of participants. And, yes, there are prizes from the authors participating in the tour. Here are the prize packages, and boy, do they look good! Enter through a Rafflecopter giveaway. There will be no substitutions. Authors donating e-books will attempt to accommodate the winner’s required format. See below for how to win a prize from me on this blog. 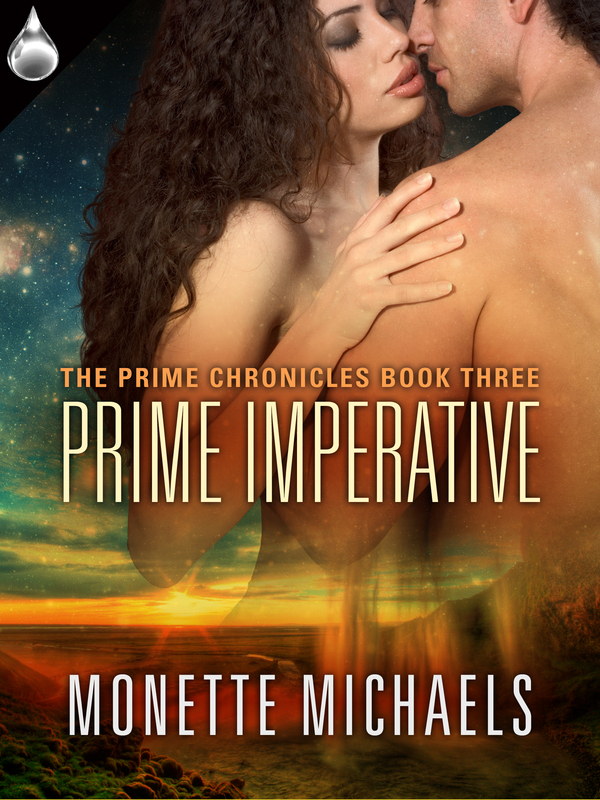 In keeping with the blog hop’s theme of Starry Nights, I’m sharing an excerpt from Prime Obsession, Book 1 of the Prime Chronicles. Post a comment in this blog, and I will award one lucky traveler, a download copy of Prime Obsession. I’ll choose that award on June 25th after 8 PM (EST which is GMT -4). Melina Dmitros is a seasoned battleship captain for the Galactic Alliance. Calls from ships in distress are not all that uncommon in the outermost spirals of the Milky Way. Calls from the warlike Prime were. Now that they were allies, Mel figures she’d better get used to working in conjunction with the chauvinistic race. She never expected to be attracted to one of them. The Prime, one of the oldest species in the galaxy, were known for going their own way. But with problems on Cejuru Prime and increasing attacks by the Antareans, the Prime joined the Alliance to lend their expertise in battling the warlike reptilian species–and ultimately, to survive as a race. Captain Wulf Caradoc, the eldest son and heir apparent of the Prime leader, looked forward to the trip to the Alliance ambassadorial planet. His mission is ostensibly to deliver the diplomatic team to the new Prime embassy. His real mission is to meet his fated mate, his gemate, one of the Lost Ones. Wulf hadn’t anticipated the diplomatic mission being attacked by pirates–and he especially hadn’t anticipated his gemate, Melina Dmitros, being the one sent to rescue his ship. Two strong people pulled together by biology and fate. Their union will be forged in a crucible of survival, treachery and duty. Now that you know what the book is all about. Settle back and enjoy the excerpt. And don’t forget to comment to get a chance to win a FREE download of this book. Well-rested after a solid seven hours of sleep, Mel entered the Captain’s conference room in search of Wulf. He sat alone. Beyond him the expansive port window framed a fiery red, blue, white and peach display of a star cluster in a nebula thousands of light-years behind the Galanti. How many times had he sat in the observation area, watching as the galaxy whizzed by? How many times had he sat in that chair, attempting to figure a way out of a tight corner? How many times had he questioned his place in the grand scheme of things, wondering when his number might come up and if he would live to see another mission? He turned and smiled at her. What had put that smile on his face? With a light mental touch, she read his emotions. Happiness. Love. Both emotions were tied to her–only her. A sense of well-being swept over her. This was right; they were right. “Always. You’re worth the trouble,” she teased. Pulling her hand away, she cupped his jaw and stole another kiss. His eyes glowed with love as he reached for her face and took control of the kiss. His tongue swept into her mouth and claimed every single millimeter like the conquering warrior he was. It was a kiss that promised hot nights on cool sheets. And even hotter, sultry afternoons of tangled sweaty limbs. Mel moaned, returning the kiss, trying to get closer to the promise of passion. The quarter-hour reminder of yellow alert status sounded, startling them both. 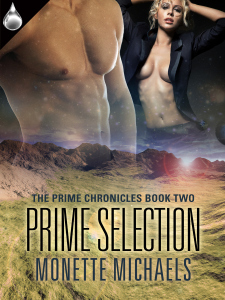 Sitting back in his chair, his molten gaze traveled over her, setting her nerves ablaze. One look from Wulf was worth more than all the foreplay any other male of her acquaintance had ever attempted. “You are rested?” His voice was husky with restrained heat. A disbelieving grunt was his only response. Obviously, she hadn’t masked the lingering pain from the injuries she’d obtained during her EVI walk. If she could have, she would’ve denied all injury. But he’d seen the evidence in the EVI staging area and, later, after he’d escorted her back to their quarters. Once there, the doctor quickly examined her, efficiently wielding the ice gun on her bruises and lasering her lacerations and abrasions. Wulf had stood over them both, alternately cursing each hurt as it was revealed, then lecturing her on the prime importance of her safety for his mental health and the ultimate well-being of every single crew member–for every living being in the galaxy. Then he’d dismissed the doctor and tucked her in bed. As he kissed her, he had pressure-injected her with a sleeping agent which had put her under for over six and a half standard hours. She would’ve done the same for him. They really did think alike. She grinned. Visit My Website for more information on this and my other books. My books are available at my publisher, Liquid Silver Books, Amazon, B&N, ARe, and other online retailers. ~ by Monette Michaels on June 21, 2014. During this blog, I keep finding books I need to check out someday. Prime Obsession is now on my list. Thanks for the excerpt. Wow, thanks, Riley. I hope you do check out my Prime books. The first two Prime books were fantastic!!!! I can’t wait for the third book to come out. Thanks, bn100. Glad you liked it. Thanks, Pippa, and thanks for all the hard work on arranging this blog. Great excerpt. Fated mates are always an interesting dynamic! Yes, KM, they did. It was fun. Thanks, for visiting. Mates who think alike are always a lot of trouble. Lol. The fun kind. That excerpt has me vry intrigued. I love these hops, I always find great new authors. Thanks for the giveaway. I like your excerpt. It has a lot of character depth to it. Lovely love scene. They sound connected both spiritually & physically. I enjoyed it. Blog hop is over and my winner on this blog is …. Riley! Riley, I will e-mail you to get your format. The main hop winners have been announced over at SFR Brigade and should have been notified by now. Thanks to all who stopped by and commented. See you next hop!